Oak Plank Unfinished 9.43m2. 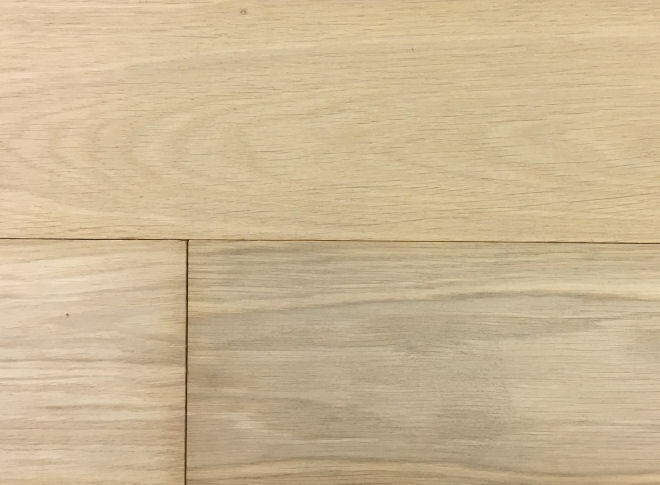 Select grade European oak in 130mm width. Pre-sanded ready for final finishing after installation. Can be finished in any of our shades or finished onsite. Size 130mm (W) x 1.23mm (L) by 18mm (T) with a 4mm solid oak wear layer.